Marsh, James H.. "John Alexander Douglas McCurdy". The Canadian Encyclopedia, 28 July 2017, Historica Canada. 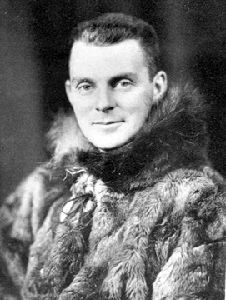 https://www.thecanadianencyclopedia.ca/en/article/john-alexander-douglas-mccurdy. Accessed 21 April 2019. 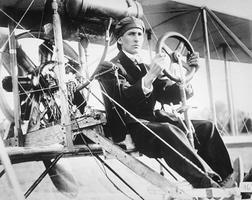 John Alexander Douglas McCurdy, aviation pioneer (b at Baddeck, NS 2 Aug 1886; d at Montréal 25 June 1961). With F.W. 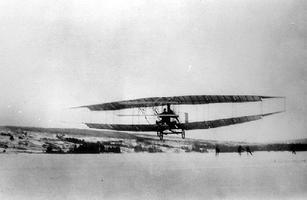 BALDWIN and A.G. BELL he formed the Aerial Experiment Association to test the feasibility of powered flight. 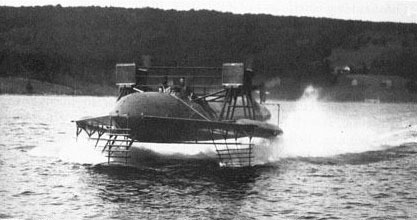 He made more than 200 short flights in experimental aircraft in the US before flying the SILVER DART at Baddeck 23 February 1909 - the first controlled flight by a British subject in the British Empire. 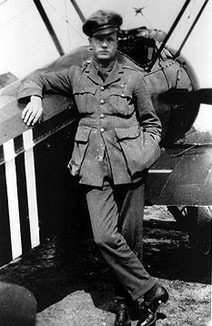 McCurdy is also credited with making the first ocean flight, from Florida to Cuba, and with sending and receiving the first messages while aloft. He was assistant director of aircraft production for the Canadian government in WWII and was lieutenant-governor of NS 1947-52. He was awarded the MCKEE TROPHY (1959) on the 50th anniversary of the flight of the Silver Dart.